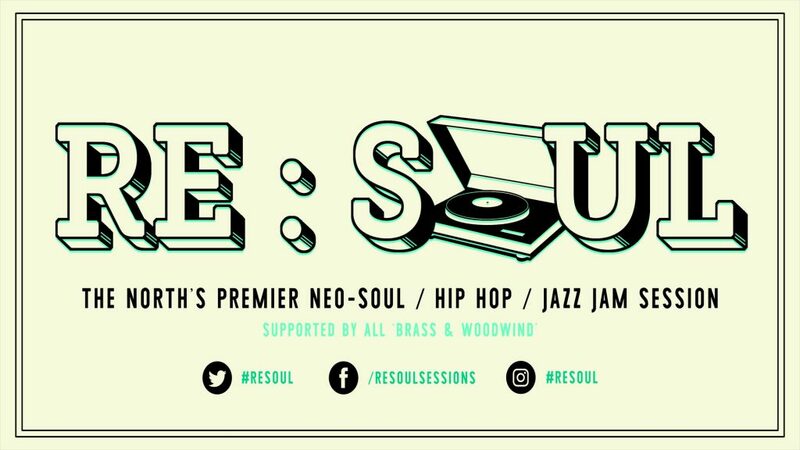 It’s been a long summer break but Leeds’ premier live jazz/soul/hip-hop jam session and new artists showcase returns to The Wardrobe Bar Leeds on Monday 24th September. It’s celebration time as we are three years old so we have a great line-up of new and old faces playing for us on this return session. RE:SOUL is the brainchild of Leeds alto saxophonist Jonny Faull and longtime Leeds jazz/soul/global beats DJ and promoter Lubi Jovanovic. It launched in summer 2015 as a monthly jam session at Hirst’s Yard Leeds for all those who love the fusion jazz, soul and hip-hop sounds of Robert Glasper, Jose James, Kendrick Lamar, Haitus Kaiyote, Flying Lotus, Madlib, Thundercat, Yussef Kamaal Trio, J Dilla, Terrace Martin, Ezra Collective. Featuring a house band of former Leeds College Of Music students, the session was packed from day one with some great singers, musicians and MCs from near and far. So many new artists of the last few years in the city made their breakthrough appearances at RE:SOUL before going on to bigger gigs and events across the UK. Jam session starts 10pm. Any singers, musicians and MCs wanting to jump up, send us an email at this page or contact Harry Fowler, our MD, via his Facebook page. We have a big set of numbers that we dip into (songs by people like Robert Glasper, D’Angelo, Jose James, Haitus Kaiyote, Donald Byrd, Jill Scott, Takoya Kuroda, Erykah Badu, Freddie Hubbard etc) and are open to any suggestions of songs artists might want to perform. We’ll be posting potential jam songs/tunes in our Facebook page so keep an eye out for that if you follow us. If not following is, like our page www.Facebook.com/RESOUL to stay informed.